When a chess master finds a winning strategic idea it is seldom by accident. An amateur, staring at a position on the chess board is often fumbling in the dark, his head spinning with a multitude of general rules and vague notions. The master's approach is concrete. He knows how and where to look, because he has studied the games of other masters. Sarkhan Guliev presents a wide range of strategic manoeuvres that have been repeatedly employed by great chess players. He shows how masters generate ideas from the games of other masters: positional sacrifices, amazing counterplay concepts, unorthodox exchanges, winning with h2-h4, overcoming a blockade, the advantages of double pawns, the e5 pawn wedge, the uses of the queen-bishop battery, and much more. 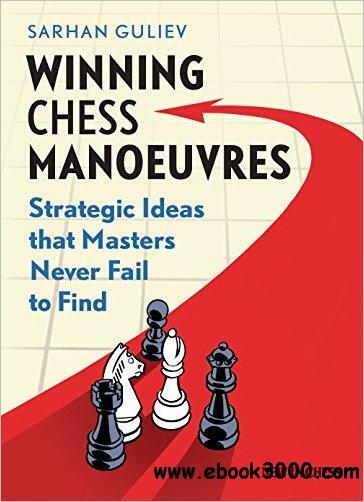 After studying this book, chess amateurs will find winning strategic manoeuvres quicker and more often. They will not find them by accident or by relying on general principles, but because they have built up a large stockpile of highly practical ideas.